HNHH PREMIERE! Nessly rides a formidable wave on his new single: "Seasick." Fans of Nessly know that he's a creature of water. Whether it's the codeine-triggered tears that immersed his breakout hit, the ice melting off his neck, or the naturally aqueous state of his melodies and productions, one can expect plenty of waves when sinking into a Nessly tune. In fact, amateur wave-riders should take the necessary precautions to avoid getting "Seasick," which happens to be the title of Nessly's new single. Once he gets going, he finds himself in a zone where the raps flow seamlessly into one another, even as he comes up with new melodies on the fly. There's a lot going on -- slow crooning, sharp bursts of rapping, spontaneous shifts in pitch, and sporadic ad-libbing -- but "Seasick" remains cohesive the whole time. We've stocked up on the Dramamine and are ready to forge into uncharted waters with Nessly at the helm. 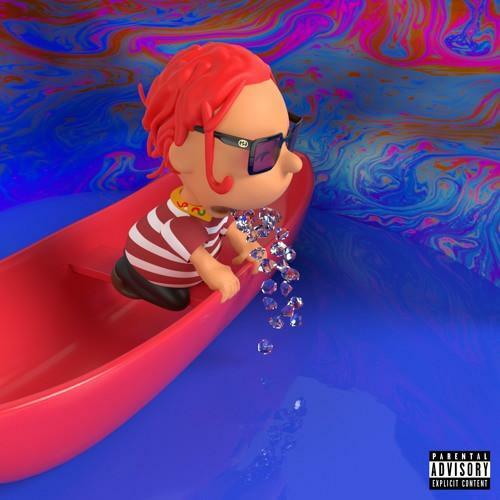 "Seasick," produced by bolo, is Nessly's first solo track since his May mixtape Still Finessin, which you can grab here. Get acquainted with the ATL newcomer as the latest star of HNHH's On The Come Up video series. Watch below.